CANBERRA, Australia, September 7, 2010 (ENS) – Australian Prime Minister Julia Gillard’s Labor Party has won another term of government, as two of the three Independent MPs who held the balance of power announced today that they will back the Labor Party. 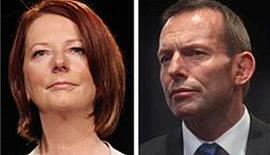 Gillard made a deal with the Greens last week that assures her of their support. 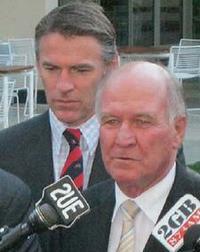 On a nationally televised news conference in Canberra on Tuesday, rural Independents Tony Windsor and Rob Oakeshott made the announcement that ends weeks of speculation about the outcome of the August 21 election, which produced a hung Parliament. Labor now holds the reins of government by a slim two-seat majority, with 76 seats in the 150-seat lower House to the Liberal-National Coalition’s 74. Independent Bob Katter said he will support the opposition Coalition led by Liberal Tony Abbott. Gillard was first sworn in as the 27th Prime Minister of Australia on June 24, 2010, the first woman to hold the country’s highest elected office. On September 1, the Australian Greens and the Labor Party signed an agreement to ensure stability for Labor in government. The Greens agreed to oppose any motion of no confidence in the government from other parties or Members of Parliament. Labor agreed to work with the Greens to deliver improved transparency and integrity to Parliament and pursue policies that promote the national interest and address climate change. As part of the agreement there will be regular meetings between Prime Minister Gillard and Australian Greens Leader Senator Bob Brown and newly-elected Lower House MP Adam Bandt. “There will be a Climate Change Committee resourced as a Cabinet Committee, an investment in dental health care in the next budget and completion of a $20 million study into high speed rail by July 2011,” said Senator Brown. “What a great opportunity that our parliament is getting a renewed focus on rural and regional Australia just as the vital issues of climate change, peak oil and food security are triggering a global rethink,” Senator Milne said. Calling the new alliance “a Labor – Green beast,” Truss said the regions will be threatened by Greens policies such as a bigger mining tax, a new emissions trading scheme imposed on agriculture, an end to fishing in many marine areas, and an end to coal extraction and other mining. “There will be food and fiber shortages in Australia as the Greens pursue their policies to end intensive agriculture and stop irrigation in the Murray Darling Basin,” warned Truss. Environmental groups are pleased with the new alliance. “The independents’ statements of support for effective action on climate change and renewable energy, which complement the agreement between the Government and the Greens, provide a solid foundation for progress,” said Henry. “We particularly welcome the recognition by Tony Windsor and Rob Oakeshott of the enormous opportunities for regional Australia that come from investing in renewable energy,” Henry said. “Australians want this government to invest in our vital life support systems and lead the nation on the transition from a pollution-dependent economy to a clean economy,” Henry said. The day after the election, The Wilderness Society said the rise of “the Green voter” puts Australian leaders on notice about the importance of environmental issues that affect us all. “Whoever forms government will have to address pressing issues such carbon pollution and climate change, management of rivers and water, and protection and management of our natural resources and heritage,” said Anthony Esposito, spokesperson for the Wilderness Society, which is politically non-aligned. For the first time, the Greens won a Senate seat in each of Australia’s nine states, including the party’s first Greens Senators in Queensland and Victoria. The Greens will gain the balance of power in the Senate when the newly elected senators take their seats on July 1, 2011. The Greens also won their first ever Greens Member of Parliament in the Lower House – Adam Bandt who won the city of Melbourne. The largest vote swing in this election was to the Greens – 3.7 percent nationally. This was much larger than the swing from Labor to the Coalition; which was 1.9 percent. In an effort to satisfy the regions, Prime Minister Gillard said she has offered a regional affairs ministry to Oakeshott. He is the only crossbencher to be offered an executive position, she said. Environment Minister Peter Garrett is considered likely to lose his position.